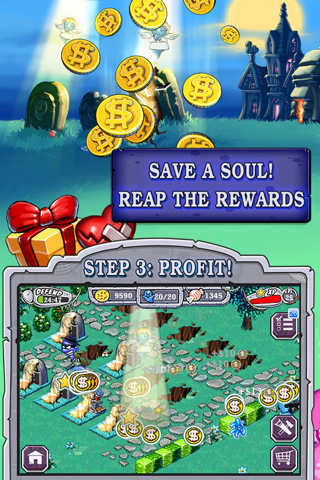 Reminiscent of Monsterz Revenge on the iPhone/iPod Touch, Ghost Harvest shares similar aspects to the aforementioned game as players harvest a variety of different ghosts. It should be noted that Ghost Harvest is a "free" game, however if you wish to have premium items available in the game or more specifically improve your gameplay, these will incur a cost to the player. It's great that EA have released a free game but gamers should be weary with additional purchases as they can rack up quite quickly if you are not careful. However with that said, you can still play and enjoy Ghost Harvest without spending a cent but there are are some very cool items you can purchase though. 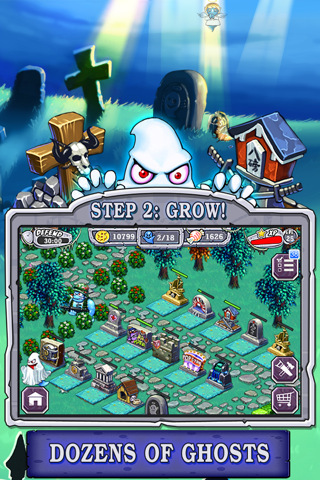 Your goal in Ghost Harvest is basically to create your own cemetery in an almost Sim City like fashion as you make plots for graves and then harvest those pesky spirits. 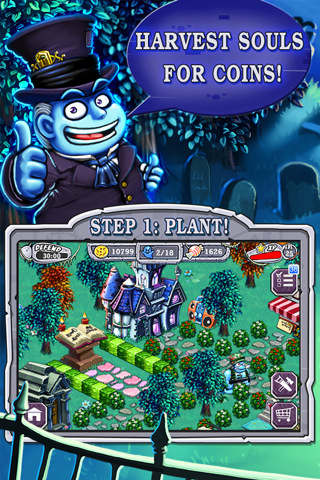 It's basically a farming social game that have inundated Facebook and the iPhone/iPod Touch. With a variety of different ghosts to harvest from singers to cowboys and soldiers to name a few, each ghost has a "value" on them which then allows you to expand your cemetery and purchase additional items. 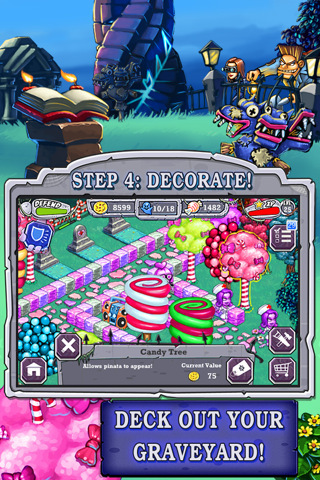 However just like harvesting plants, you need to wait until the ghosts are ready to be harvests. Unfortunately for your ghosts, there is a threat to them and these are the paparazzi so you need to ensure that your souls are protected by placing ghosts in your cemetery as protectors. For example, by placing a nurse or a samurai ghost in your cemetery, this will help protect your spirits from the paparazzi but you need to mix and match because different enemies have their strengths and weaknesses, just like your ghost protectors. It's a careful balance of strategy. 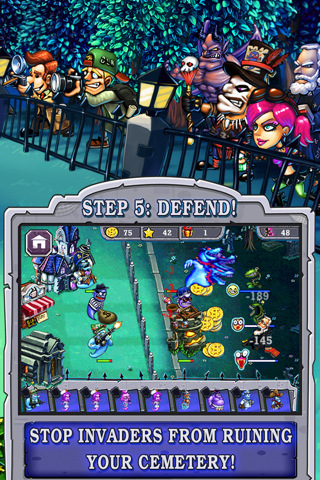 When the combat begins which happens at timed intervals, it reminds me of Plants vs. Zombies as you setup your defences and attack the enemies in tower defence fashion. Combat is fun but is a little limited in the grand scheme of things and thankfully there are plenty of mini-games and quests to be found along the way to spice up the gameplay. Graphically, the title is quite a spooky looking game, albeit quite cartoony but suits the gameplay perfectly. Add in a scary sounding musical score and lots of creepy noises and Ghost Harvest comes together rather well. 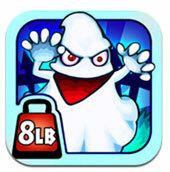 In conclusion, Ghost Harvey will definitely waste your time but that's the goal of these addictive games. So if you're looking for something different and a combination of social game meets tower defence, than you really check out this and best of all, it's "free"... sort of.